French cooking is revered the world over and with good reason, the food is absolutely divine! From Auguste Escoffier to Alain Ducasse, French Chefs have historically set the benchmark. So how is your French picnic menu going to live up to the weight of expectation when taking on such a powerhouse of culinary culture? The first thing to say is just because you have a set theme for your picnic, no one is expecting it to be 100% authentic, right down to the Chantilly lace placemats. Secondly, just because you have seen these chefs on television spending hours over ridiculously intricate processes that ultimately leads to just a humble glaze, does not mean you have to follow in their footsteps. Guess what? The French picnic basket carries a lot of simple food in it. Food accessible to us all! The French love their bread and cheese. You too, right? They seem to quite like a nice pastry too. You? And I think we can all agree on a nice drop of wine. 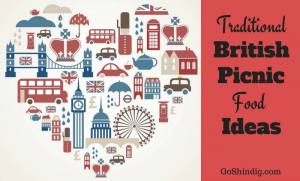 So, I invite you to take a look at some suggestions of popular French picnic fare and hopefully, we can inspire you to have a great day out. The suggestions include the humble, the not so humble and the extravagant. A little something for all tastes and all budgets. 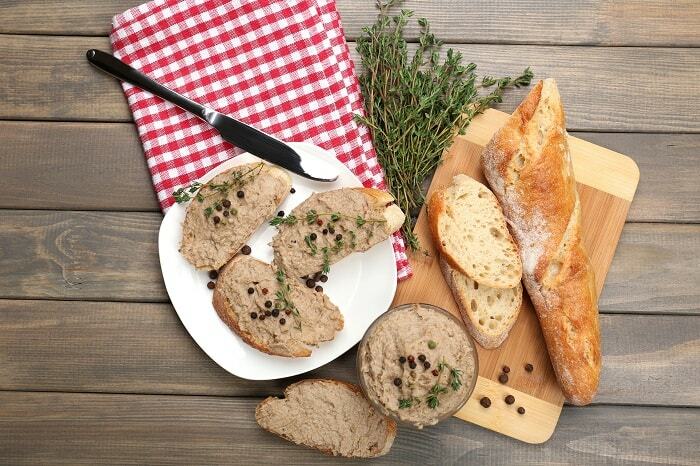 Chicken liver pâté – The pâté is made from chicken livers, butter, shallots, garlic, and brandy to name a few ingredients. It is so simple to make and it takes no time at all. Best of all, it tastes great. You can eat it hot or cold. I prefer cold, spread over a nice crusty sliced baguette. You can equally use breadsticks or crackers. Tapenade – Another great dish that you can spread on your crusty bread is tapenade. Made from olives, capers, anchovies and olive oil, tapenade is a dish that is devoured on a daily basis in the southern regions. It’s quite a versatile dish as well with variations including sun-dried tomato tapenade, eggplant tapenade, and artichoke tapenade. Preserves – We might as well stick with the bread theme right? If you want a true Gallic feel to your picnic then you could do a lot worse than packing some preserves into your basket. Eaten literally everywhere you go in France, preserves are French picnic hall-of-famers. Loved by young and old, beyond simple to store and dispense and most importantly great tasting. The perfect appetizer. In all honesty, your French picnic does not absolutely require you to have French only cheese included in it. I think by merely entering into the spirit of the theme and packing a cheese board with a nice varied selection would suffice, so no need to be racing off to your specialist cheese shop. However, we can’t allow this section to be here without mentioning some of France’s best known and most loved offerings. Brie – The consummate French cheese, Brie is a soft cheese that hails from the Seine-et-Marne region. Famous for its rind is safe to eat, although I have to admit to cutting mine off, Brie has a mild creamy taste. Certain varieties, where maturing has taken longer, will leave you with a stronger, more pungent flavor. 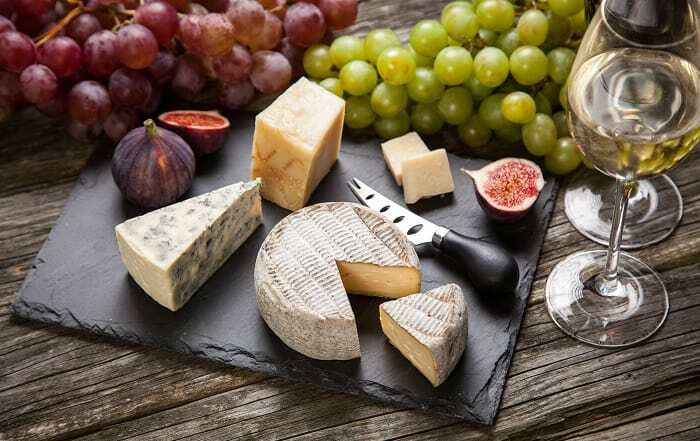 Roquefort – Perhaps the second most recognizable French cheese is Roquefort. A blue cheese made from sheep’s milk which you will either instantly love or hate from the initial smell. The flavor and smell come from a blue mold which you will notice as soon as you cut into it. It has a firmer texture than Brie but is actually quite damp and crumbly. There are many more cheeses that you can select from Munster d’Alsace, Neufchatel and Camembert amongst my favorites although I suggest keeping the Camembert for home and sticking it in an oven for 15 minutes. No matter, cheese is personal to individual tastes so ask at your local store for testers to understand which might be best for you. Croissants – The Frenchest French thing ever I’m thinking. Croissants are an absolute delight when made fresh. Enjoy them with some preserves and you might as well start calling yourself Jean-Luc and learn the words to the Marseillaise. Macarons – There are actually whole shops dedicated to these little pieces of paradise. 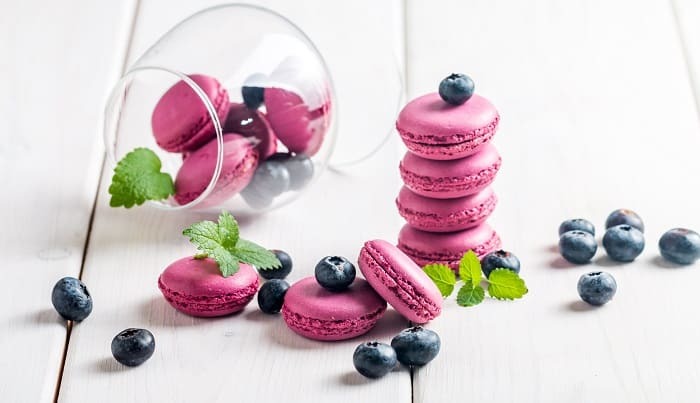 Macarons are tiny, colorful meringues that come together to make a sandwich with a ganache filling. Bring these out at your French-themed picnic and you will basically win at life. They are an absolute pain to make, try it if you can but if you succeed you will be a better person than me. Éclair – An Éclair should really be making it into everyone’s thoughts when thinking of French picnic foods. Typically, luxuriously French, the Éclair is made from choux pastry with a cream filling which should be traditionally chocolate. If eaten fresh the choux will prove to be light and airy yet crisp, and the chocolate cream filling will melt into every available pore before spilling out when you take a bite. Look, we know what’s coming here don’t we? I mean, the French drink soda and juice just like you and I. So, that’s the soft drinks, now let’s move onto the wine and champagne!! First thing’s first though, you are not going to be able to enjoy any of that beautiful French wine you have brought along if it is going to be sitting in the sun for a few hours, no siree. You have a couple of options to keep your wine cold enough to drink without it tasting of sweaty socks, the first one being freezing the bottle the night before and taking it out just before you leave. I do not recommend this! The other is to buy a cooler bag that may or may not come with ice packs. Simply store your bottles in these and take them out when you need to pour. As with most things, wine will come down to personal preference. Some may enjoy a more delicate, fruity wine whilst others a more robust number full of tannins. I have chosen not to go into detail over the selections but instead give you a general idea of what you should be looking for. Red wine – Bordeaux is one of the country’s most famous wine producers. Bottles can go for tens of thousands but as the region is so popular you can also pick up bottles for a few bucks. Pinot noir is the wine you might be thinking off if you ever think of purchasing a Burgundy wine. Made by using only pinot noir grapes these wines are a must try thanks to their unique flavor. Cabernet Sauvignon is a widespread grape that you can find in many regions. It pairs well with most foods due to being mostly full-bodied. White wine – Chardonnay is the white wine alternative to the pinot noir. It originates in Burgundy and you can make it by using only the chardonnay grape. Sauvignon blanc is a monster in the wine world. Hailing from Bordeaux this wine is known for its crisp taste and high levels of acidity. Sancerre, which is made from the sauvignon blanc grape is a wine you might like to seek out due to its reputation as being very good to pair with food or be drunk on its own. Champagne – For those who like to splash out a little more there is also Champagne to consider. Your sparkling wine may only be called Champagne if it was made in the same region it was named after under strict rules. 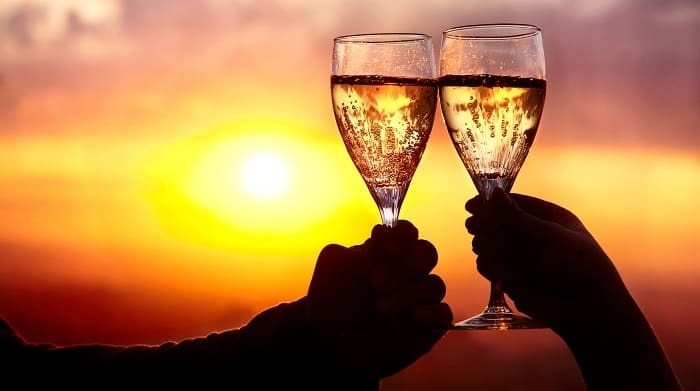 Whatever you choose you can’t go wrong as there are Champagnes to suit all budgets from Veuve Cliquot to Dom Perignon to Ace of Spades and beyond. British PicnicSummertime might be short in this part of the world, but when the sun is out the great people of this island sure make the most of it and a picnic in the park is always high on the list. Chinese PicnicAlthough this is a region not famous for picnicking they sure make good food that suits a picnic. Italian PicnicBringing together all the amazing foods of the Mediterranean to one picnic basket. What a great idea! Mexican PicnicWith a style of food that has effortlessly traveled the world, this picnic idea needs no introduction. Spanish PicnicThe masters at small dishes of lovely shareable food. A dream food style for picnic enthusiasts. 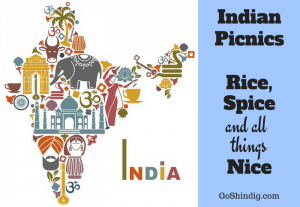 Thai PicnicWith a mixture of flavors like no other nation, this picnic theme is great to impress. Just be sure your guests are as adventurous as you before embarking on this taste sensation adventure.